April 8, 2010  President Obama and Russian President Dmitry Medvedev signed the nations' first strategic arms treaty in nearly two decades on Thursday, aiming to draw down their nuclear arsenals by as much as one-third. Obama praised the so-called New START as a chance to "reset" strained relations with Moscow. April 2, 2010  The nation's economy posted its largest job gain in three years last month, while the jobless rate remained at 9.7 percent for the third straight month. It's the latest sign that the economic recovery is sustainable, and healing in the job market is beginning. 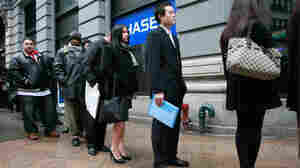 The Labor Department said employers added 162,000 jobs, including 48,000 temporary workers hired for the U.S. Census. 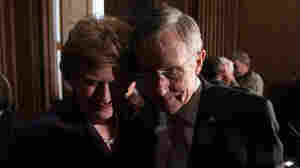 March 25, 2010  Capping a bitterly fought battle over the top item on President Obama's domestic agenda, the House voted 220 to 207 to approve the reconciliation bill, after the Senate made changes and returned the measure earlier in the day. March 22, 2010  Across the nation, reaction to the landmark health care legislation that made it through the House late Sunday seemed to echo the bitter division in Washington, drawing either praise or excoriation. March 17, 2010  The Ohio Democrat says he'll vote to pass Democrats' legislation although it's "not the bill I wanted to support," bringing the White House and Democratic leaders a step closer to the magic 216-vote threshold needed to pass their hard-fought bill. March 5, 2010  The Labor Department said employers cut 36,000 jobs in February, well below analysts' expectations of 50,000. The department said the recent severe snowstorms that hammered the East Coast may have affected job losses, but it wouldn't quantify the impact. 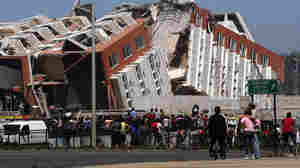 February 11, 2010  There were significant financial costs to some of the areas hit by the massive storms of the past week, but also some benefits: Stores will have to restock sold-out supplies, and telecommuting may have softened the impact on productivity. February 5, 2010  The report hinted at some job market improvement, even though employers shed 20,000 jobs in January. 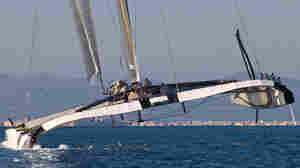 February 5, 2010  The America's Cup is set to start on Feb. 8, and the competition is in for some big changes. The rulebook has been thrown out, thanks to long legal battles. The new boats embrace new technology that lets them soar above the water. February 1, 2010  The president's plan will increase spending in the fight against high unemployment, boost taxes on the wealthy and freeze spending for a number of government programs. 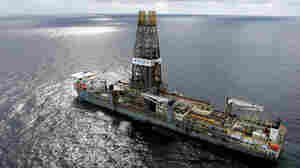 The deficit for this year would surge to a record-breaking $1.6 trillion, according to a congressional official. January 25, 2010  Companies pressed by the recession cut back on business travel and replaced it with technology — and it's proved so popular that travel may not bounce back as the economy recovers.